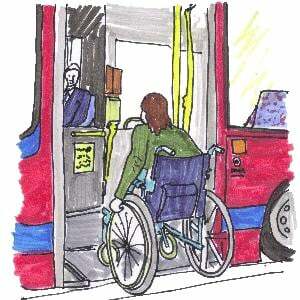 Home > News > Bromley Mobility Forum needs you! A bit of background: Bromley Mobility Forum is not a new forum, it has been making a positive difference in the borough for many years whilst it was funded by Bromley council. Due to the funding cuts by Bromley Local Authority in 2016 the forum was no longer able to keep going. X by X spoke to their funders at Trust for London about using some of our funding to support the forum to continue making a difference for residents in Bromley. We are pleased to say they said ‘YES’. After taking a short break Bromley Mobility Forum is coming back with a more user-led twist. X by X are looking for volunteers to represent all the different impairment group in Bromley. *By Disabled People we include people with physical impairments, sensory impairments, mental health survivors, people with learning difficulties or learning disabilities, people with long term health conditions. The Forum will also have representatives from local organisations too. We already work with; KAB, Bromley Mencap and Leonard Cheshire. However, we are looking to work with more organisations. Is your organisation interested in working with us?